AJ: Hey Daniel, how are you doing today? Daniel: I’m good. Thanks for having me! AJ: Last time we spoke was on my podcast and you had two movies come out since then. Congratulations. Daniel: Oh man! That’s right thank you. AJ: How was it working with Hillary Duff that’s known for her roles with Disney? Daniel: First of she is an absolute pro I think being that young and working on the Disney channel helps these actors for when they go to challenging roles. AJ: I was just going to say she’s the first Disney star to play the victim with Ross Lynch playing Dahmer and and Zac playing Bundy. Daniel: I didn’t even think of that! She absolutely nails the part and it was incredible to watch her play it so greatly. AJ: When doing a project like this do you ever go back on other films and TV shows that covered the events to see what you can add differently to it? Daniel: Not necessarily no. There’s a lot of material on Charles and his cult. Just knowing that these people murdered rich white people to make it seem like black people were doing it to start race wars. AJ: Will thank you for your time today Daniel have a good weekend! Daniel: Thanks AJ you too. You can rent The Haunting of Sharon Tate now. 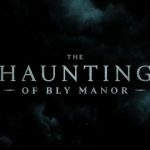 The Haunting of Hill House will have a season 2, and it will be called "Bly Manor"